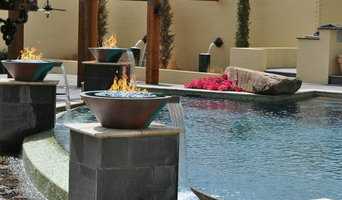 We specialize in creative water environments. I have been creating unique outdoor environments for over 20 years. Our specialty is water and we build custom gunite swimming pools, one-of-a-kind spas, Endless Pools, and therapy bathtubs. Our scope includes all the services and features to create gorgeous spaces for our clients. Beyond waterscapes, we design and build: cabanas, outdoor kitchens, fireplaces, landscaping, lighting..... Our experience and passion has led us inside and we have renovated several bathrooms. My designs have been featured on HGTV's 'Groundbreakers' and 'Mission Organization'. We are the only Factory Trained Endless Pool Installer in Western North Carolina. Medallion Pool Co. specializes in the design, engineering and construction of outdoor living environments including pools, spas and water features; outdoor kitchen and entertainment areas. We offer worldwide consulting for residential, commercial and institutional properties. When you dream of a backyard paradise, know that Waterworks Pool & Spa will make that dream a reality. Our experienced design, building and remodeling teams have 40+ years of pool and spa construction experience throughout Western North Carolina. Homeowners, property managers, dreamers exactly like you trust us with all of their spa and pool contracting needs. Please take a moment to see what our clients have to say: A+ ratings on Google+, Angies List, and some wonderful images and comments on our growing Facebook community. Questions? Free in-home estimate? Give us a call today. We are here to answer any/all questions you may have. 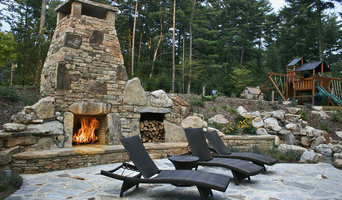 Asheville Deck is a professional outdoor living specialist. 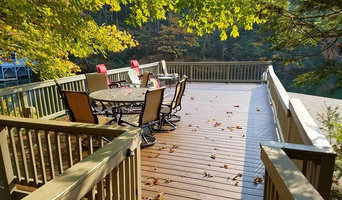 Having a desire to build, create, and implement incredible living spaces like decks, screened porches, patios and pergolas in the Asheville Metropolitan area. We design, create, and build outdoor extensions of the home that blend in architecturally. Our projects incorporate high quality products like Trex and Zuri along with low maintenance railing systems and trim. Our products will add value to your home and ensure your satisfaction for many years to come. Dave Anderson, founder of Asheville Deck, grew up at a bible camp. Working alongside his father in maintenance and construction from a young age. He has gained valuable hands-on experience and knowledge. Dave is excited to be pursuing his dream in North Carolina and using his General Contracting license to bring quality construction to his customers. Anchor Home Services is a specialty screen porch enclosure and fencing company located in Greenville, South Carolina serving the entire Upstate South Carolina and Western North Carolina. We specialize in the construction of screen porches, conversion of existing porches and garages, design and build aluminum screen porches and install aluminum awnings. We are a leading builder of fences - ornamental aluminum, steel, wood, chain link, three-rail ranch, and vinyl privacy. We are an authorized dealer of the PGT Eze-Breeze enclosure systems, Ameristar steel fencing products, and also locally owned and made Plantation Aluminum Fencing and Swedge Lock. We are proud to have built many fences for several well-known local custom builders. We are committed to providing the very best in construction and design and always with our customers in mind. We'll take your ideas and turn them into reality. We refuse to settle for anything less and neither should you. With years of qualified experience in the construction and home improvement industry, Anchor Home Services continues to provide exemplary service from quote to final walk-through. We are also proud members of the local, state, and national Home Builders Association. Eart Built is focused on building 15-20 home communities where other builders would normally put 50 homes up. We are resellers for all current market technical products, Nest, control4, and renewables Solar Wind and other renewable energy sources, With our staff, any project can be completed in half the time of 99% of other companies in Western NC/SC, But that is not our goal our goal is to WOW our new, and repeat customers. Affluent Pool Design & Construction Inc.
Remodel your existing pool and discover a whole new backyard. Whether your pool needs a repair or just a new look, Asheville Pool and Patio makes the remodeling process easy and enjoyable.Turn what once was great into something even better.Asheville Pool and Patio’s experienced design professionals will assist you in choosing the best remodel plan for your situation. You can either schedule to meet with a design professional at our store, or for a free onsite estimate.We will add any features you desire, whether you are looking to update the look of your pool, or modernize it with the newest technologies. We will do everything to ensure you create the backyard paradise you have always imagined.